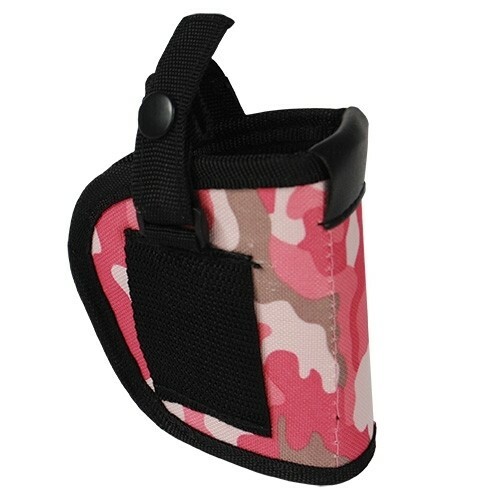 Mace Pepper Gun Holster, Soft Nylon Pink Camo. This is the perfect way to secure and carry a Mace Pepper Gun. This soft nylon case is durable and features a snap closure and belt loop.